The Australian Open is one of the biggest tennis tournaments held in the world. It is one of the four grand slams held annually which feature the biggest names of the tennis world from men and women both. The tournament is held in Melbourne over the last two weeks of January. It has a typicality of being a high attendance event with audiences usually exceeding the other grand slam, US Open. Sports fans from all over Australia and the world fly in to Melbourne to see the games and experience historical moments. When you’re planning to get to Melbourne from places in Australia, then Melbourne Boat Hire is offering you pickups from selected locations. Customers can book in advance and hop on a skippered cruise along the Yarra river to arrive at Melbourne after seeing beautiful and amazing sights. 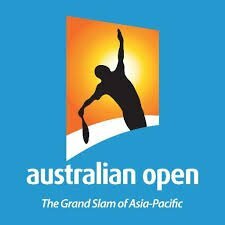 We can transfer you on our exquisite and luxury boats to Melbourne Park where you can attend the Australian Open. You can also hire a personal transfer luxury boat just for yourself for a specially arranged pickup location of your choice. Have a relaxing time on board the ship and also avail our lunch and dinner packages to be served food on the ship. If you’re arriving in Melbourne some other way but want to spend the time in a nice and relaxing way after the match, then book in advance to hire a personal self-drive boat where you don’t need a driver or a boat license to go out in the river and have a nice time. The tournament is going to be held in the matter of a few months and the spots at Melbourne Boat Hire usually finish very early due to increased demand during the busy season. So that’s exactly the reason why its not good to wait for the last moment to make up your mind, rather plan the trip now and book with us. Then, all you have to do is sit back and wait for the tournament to come up, to go through an experience a lifetime. The opportunity is unique and guaranteed to be exciting.